If you are interested in renting a house in Huntley you need to give me a call. We have hundreds of homes in the area that you can rent. If you go on most rental sites you might find a few houses for rent in the subdivision that you are interested in. But with our system you will be amazed at how many choices you have to rent a home. You can get almost any option you would like in the house that you rent. It is important to work with the right proffessioal to help you get the best deal you can. We have homes available for rent in Huntley, Algonquin, Lake In The Hills, Crystal Lake, Hampshire, Gilberts and many other locations. Our rentals are available for just a one year lease if you like. We also have longer terms available like 2, 3, 4, or five year. It just depends what you are looking for. Even if you are interested in renting with an option to buy we have that available also. If you would like to find out more about our rental program just give me a cal at 847-287-8742 or send me an email at craigroe.us@gmail.com and I will be glad to explain it to you. It is a fantastic option if you are looking to rent a house in this area. Also, you do not have to have perfect credit. We look at the total picture and are much more flexable than a lot of others. We have a simple application proccess and within a few minutes you can see all about our system to know if you would be interested. It would be very hard for you to find this many possible houses to rent anywhere else. One simple phone call and in a couple of mintes you will see how amazing this can be for you and your family. 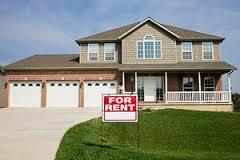 We ncan send you pictures of lots of houses that you can rent. You just let us know what city or subdivision you like and you will be able to see all the fantastic possibilities to rent.